The ULTIMATE in Summer Fun! Each Ultimate Kids Summer Camp is a week long action packed opportunity for children to experience the BEST in GYMNASTICS, TUMBLING, EXTREME SPORTS, DANCE AND MORE! We offer an amazing variety of camps to suit children of all ages. Summer of 2019 brings half day morning specialty camps with the option of adding on our Ultimate Afternoon Fun Camp for school-aged campers resulting in a full day of supervised activities. All morning camps are 8:00 am - 1:00 pm, and our Ultimate Afternoon Fun Camps are 1:00 pm - 6:00 pm. Please note, the Afternoon Fun Camp add-on is available for school-aged campers only. Bring lunch and water bottle for ALL CAMPS. School Age Campers must bring sneakers for time in the Climbing Gym. Snacks are provided mid-morning and mid-afternoon. WHY CHOOSE ULTIMATE KIDS SUMMER CAMPS? Camp schedule features organized and instructional learning, instructor led activities, and a positive encouraging environment. A description of each camp offered is listed below, as well as our 2019 camp schedule and pricing details. Click on a category to get all the details. Ultimate Preschool Camps are a week long combination of preschool gymnastics, arts & crafts, ball sports, games and creative play time utilizing our gym, outdoor areas and preschool classrooms. The gymnastics class portion of our camps is based on the Tumblebees Preschool Gymnastics Program and follows the circuits, skills and progressions for our weekly class students. 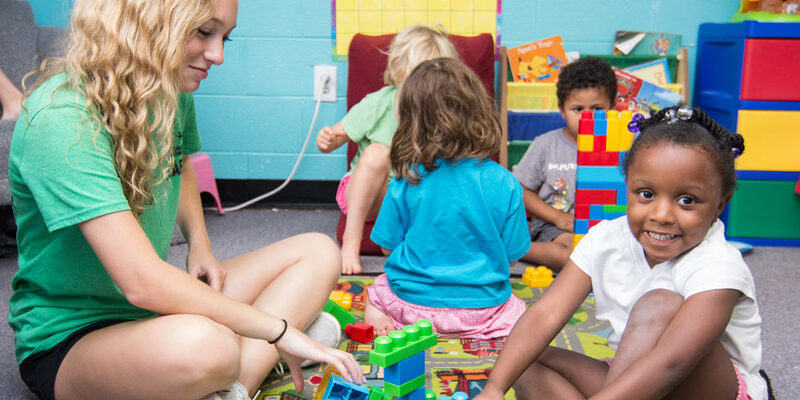 Campers are divided into groups based on age and will experience a variety of fun activities led by our preschool teachers and gymnastics instructors. Ultimate Kids’ Gymnastics Camps offer a morning filled with movement! Our camps include fun and effective warm ups, event rotations, and practice time with coaches that are positive and encouraging! School age boys and girls of all skill levels can look forward to an active environment utilizing gymnastics apparatus including vault, floor, beam, trampoline, rings, and bars equipment to teach gymnastics skills based on the skill progressions of our weekly classes. New for Summer 2019 - Ultimate Kids is offering two levels of camps! For the beginner through intermediate gymnast (Levels A - C) that wants to progress to the next level in our program. Skill drills, strength building, flexibility and endurance training are all a part of our camp day. Active group games and rotations to our climbing gym are a part of our schedule to help build muscular and cardio endurance as well. Geared toward advanced recreational gymnasts (Levels C - F) that want to develop their individual and connected tumbling skills and progress their skills on beam, bars and vault! Students must have a standing backhandspring, strong round off and intermediate skills on other apparatus to enroll for this camp. Ultimate Kids’ Tumbling Camps are fun filled camps that emphasize our Tumbling and Trampoline program and are perfect for school age boys and girls of all levels. Our coaches will teach and encourage students in learning skills no matter their current level. New for Summer 2019 - Ultimate Kids is offering two levels of camps! For beginner through intermediate students that want to learn to flip and tumble, learning skills and progressions that will lead up to a standing backhandspring. Campers will practice and learn skills using our trampolines, tumble tracks, floors and soft pit landing areas. Energetic group games and rock climbing in our climbing gym are a part of our day and will help build muscular and cardio endurance and strength. Geared toward advanced tumblers, cheer groups and extreme sport athletes that want to develop their individual and connected tumbling skills and higher level trampoline skills! Students must have a standing back handspring and a strong round off to enroll in this camp. Our Ultimate Extreme Camps are a huge hit every summer! Ultimate Extreme camp is a week of running, jumping, and climbing that combines the discipline of Parkour, training like a Ninja Warrior, practicing the Martial arts and rock climbing in The Climbing Gym. Campers will have the chance to learn techniques ranging from falling safely and self-defense to creative free running movements and obstacle traversal. Extreme Challenge camps are designed to help develop coordination, strength, balance, spacial awareness, endurance and agility. For beginner or intermediate students. Whether they’re just getting into parkour and obstacle course training or hoping to refine their fundamentals and discover new fun challenges. Tailored for the more experienced students that want to further develop their minds and bodies with challenge and advanced techniques. Students must demonstrate proficiency in vaults, rolls, rail balance, and strength to enroll in this camp. Ultimate Afternoon Fun Camps are a great add-on for the full-day experience or for those desiring afternoon-only camps. These camps offer gymnastics and tumbling with supervised open practice time, arts & crafts, group games, sports activities and special activity days (ie. water fun day - at our facility). Mid-afternoon snack is provided. During Preschool Dancenastics Camp, children will experience both dance and gymnastics! We will learn the Five Ballet Positions, ballet steps across the floor, and movements at the barre. Creative movement is incorporated to improve coordination, self esteem, and self expression. Choreography will be learned for two different dance routines. Dancers will do a daily craft to create props to be used at the end of camp performance. Gymnastics time will include stations on beam, trampoline, bars, vault, floor foam pit, and tumble track. During School Age Dance Camp, children will experience tap, jazz, ballet, hiphop, and musical theater. We will cover basic through intermediate skills and proper terminology in all styles. Campers will have an opportunity to work on improv skills & creative movement to improve coordination, self esteem, and self expression. Choreography will be learned for three different dance routines. Dancers will do a daily craft to create props to be used at the end of camp performance. 10% DISCOUNT FOR SIBLINGS AND MULTIPLE WEEKS! Registration fees, if applicable, and camp tuition are due at time of registration. If you are registering for multiple camps, payment plans are available upon request. Please inquire through our office. ***Applicable discounts will be applied as registrations are processed through our office.